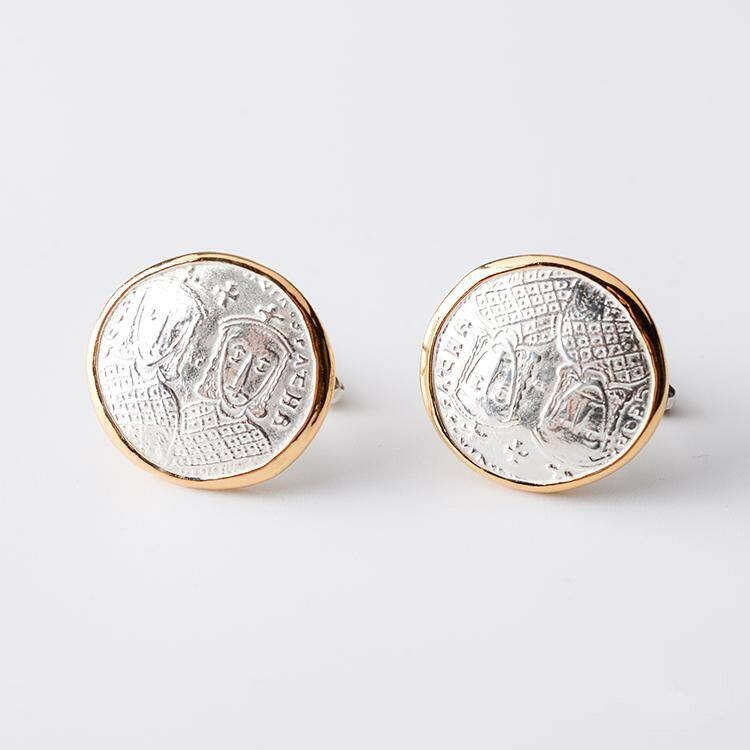 Silver coin cufflinks, crafted from a replica of an ancient Greek coin. 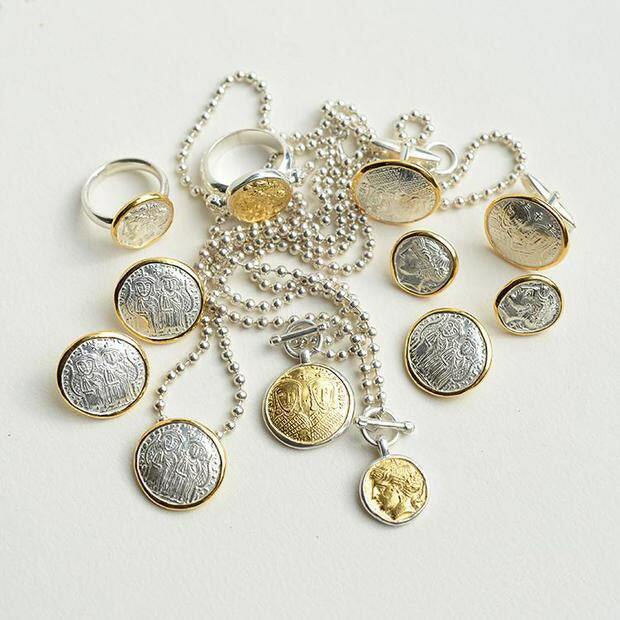 Based on the design of an actual ten Drachma coin - in circulation around 2400 years back in Greece. Legend has it that the famous sculptor Kimon had designed the coin. 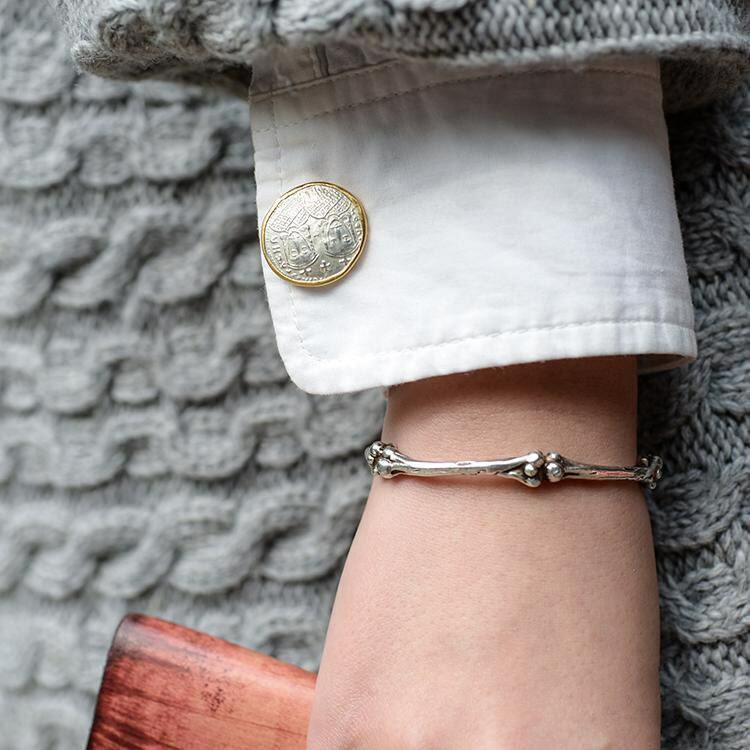 The large, round silver coin makes for a bold design. The finely engraved figures on the face of the coin make for an intriguing look. 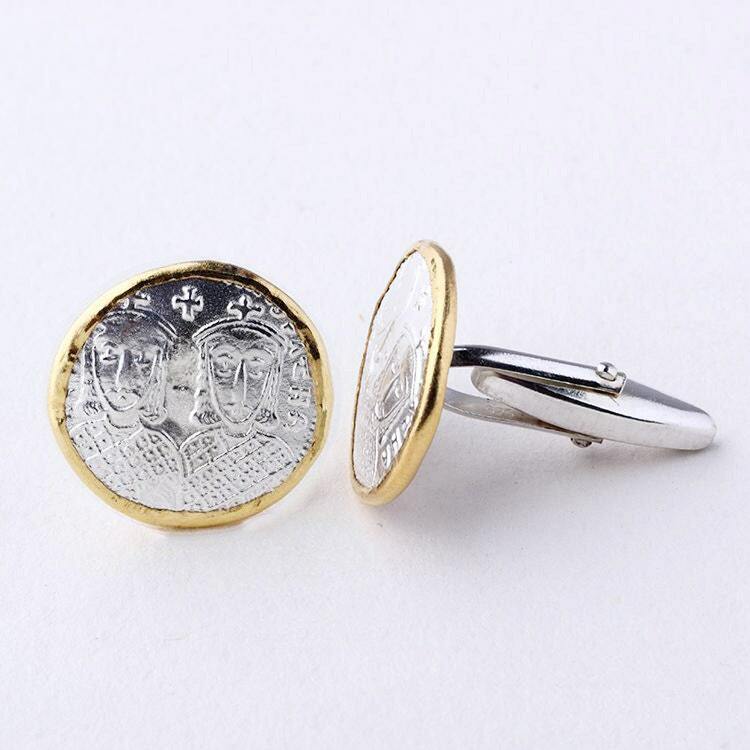 24K gold edges of the coin add an extra dimension of elegant luxury. You have a choice of a gold plated coin, or one with a gold wrapping. 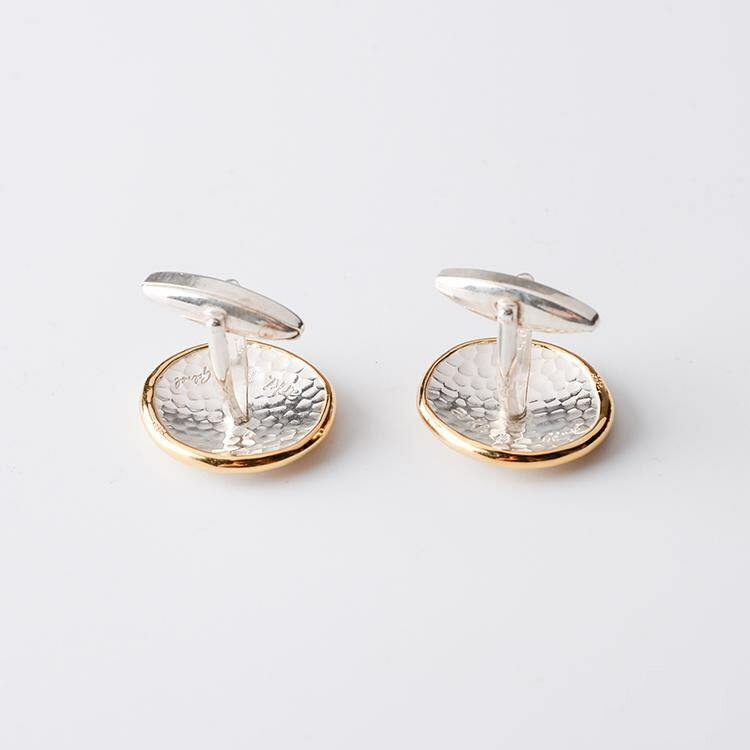 The round cufflinks will especially appeal to fans of vintage-themed jewelry. (For your reference, a US quarter measures 24.26 mm/0.96 inches, in diameter, and is 1.75 mm/0.07 inch thick).